From the #1 international bestselling author of The Orchid House;an epic saga of two remarkable women and two love stories spanning the years from 1920s India to modern-day England. For American actress Rebecca Bradley, it is the role of a lifetime: She will star as a 1920s debutante in a film shot entirely on location at a magnificent English country house. The remote setting and high walls of Astbury Hall will provide a much needed refuge from the media glare that surrounds her every move. When Lord Anthony Astbury sees Rebecca in costume, he is stunned by her uncanny resemblance to his grandmother Violet, a famous 1920s society beauty. And when Rebecca discovers a manuscript written by a young Indian woman who visited Astbury Hall in the 1920s, she learns of a love affair so passionate and forbidden it nearly destroyed the Astbury family;a secret Lord Astbury himself does not know. As Rebecca is increasingly cut off from the modern world, Violets presence starts to make itself felt in unsettling ways. In the gilded years before World War I, Anahita is a bright and curious Indian girl who never thought she would come to England. But as the companion to a royal princess, she is given rare access to a world of privilege and is sent to an English boarding school. When she meets young Lord Donald Astbury, they share a special bond that is only made stronger by their harrowing wartime experiences. Pressured by his family to marry Violet, an American heiress, Lord Astbury must say good-bye to a love that will haunt him for the rest of his life and inspire a romance for the ages. I was fortunate enough to receive this novel from the publisher in exchange for an honest review. The expected publication date is March 18, 2014. 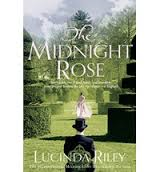 I have recently discovered Lucinda Riley's work via the recommendations option on Goodreads stemming from novels I had previously read in the same genre. In the last 4-5 months I have read all of her work and I was thrilled that there was another one being released that I was able to gain advanced access to. I was not disappointed. One of the main things that attracted me to this read is the fact that it is an historical fiction work which is without a doubt my favourite genre to read. No other genre has been able to "haunt" me and stick with me long after the last page is turned than this genre. This is what draws me to Riley's work. Secondly, the story begins in India. Having spent some time there a few years ago it continues to be a country that intrigues me with its people and culture. This story gives the reader a fascinating glimpse of life in India in the early 1900's and the obligations of its people, more specifically, the women and the roles they played. This book had an interesting cast of characters. Starting with the supporting cast, I thoroughly enjoyed Annie's best friend Indira. She was full of life, set in her ways and completely selfish. This would normally turn me off of a character however despite some of her flaws she was always there for Annie when she needed it. As mentioned in the book the meeting and subsequent friendship of Annie and Indira was the beginning of everything that was yet to come. In the present day storyline the character of Ari who was Annie's great-grandson was just as delightful. He had many similarities in his personality traits that Indira had. At the beginning of the story he was self centered and power hungry however as the story evolved and he began to look in to the past he grew in to a character that I was utterly in love with. As for the main characters one could not help but love Annie. She was strong, caring and selfless. The fact that she was unaware of her beauty and her attributes added an element of believability to her. Her strength of character was evident in the way she embraced every opportunity that came her way and overcame every obstacle and heartache thrown at her. 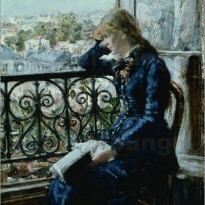 In the parallel present day storyline, the same could be said for Rebecca. Her success and fame did nothing to hide the sincere, honest and somewhat insecure person she was beneath her appearance. I am not one to regurgitate the story when I am writing a review. Instead I try to share how the story made me feel. From India to the English countryside, I was drawn in to both Annie and Rebecca's story. This was a tragic story of love and I was along for the ride to find out what had happened with any and eager to find out what would happen to Rebecca. The storyline did take an odd twist towards the end of Rebecca's journey however Annie's was as tragic and haunting as I had hoped to be. 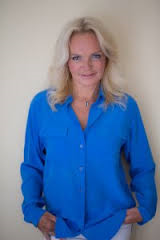 I discovered Lucinda Riley purely by accident however you can be sure that now that I have been introduced to her work I will continue to follow it and look forward to anything new that she may release. Fans of historical fiction will not be disappointed.